There are several ways to augment one’s glutathione. It is a good idea to proceed slowly at first if glutathione has been depleted for an extended period of time (months to years), because toxins and infections may have been allowed to build up in the absence of sufficient glutathione to keep them under control. If glutathione is then brought up rapidly, the mobilization of toxins can produce a Jarisch Herxheimer reaction, which is an exacerbation of symptoms that can make a person feel very unpleasant. Also, see the particular comments about mercury below. A relatively new oral supplement is Lipoceutical Glutathione, which is reduced glutathione encapsulated in tiny liposomes made from soy-based phosphatidylcholine, available from http://www.wellnesshealth.com. This latter form is relatively expensive, but more of the glutathione is absorbed intact and appears to be carried to various cells of the body encapsulated in the liposomes. No prescription is required for the above oral supplements. ImmunoPro Rx and RenewPro are actually “native” or “nondenatured” being made from whey that has not been heated to high temperatures or treated with acid as in cheese making, which the “undenatured” products’ starting material have undergone, so that they have more cysteine present as actual cysteine per se rather than the oxidized form cystine, and cysteine is more useable by the liver for making glutathione, particularly in a person who is depleted in glutathione. The “undenatured” and “nondenatured” whey protein products can be problematical for those with allergies to whey proteins, and the goat-milk based version Goatein may be helpful in such cases, even though the fermentation process likely converts much of the cysteine to cystine. Many people with dairy allergies are actually sensitivities to pasteurized milk proteins or allergies to casein, which is the part of milk protein that goes into the curd fraction, rather than into whey, so a dairy food allergy or sensitivity may not be an allergy to nondenatured whey protein. The amino acid precursors should not present problems of allergic reactions, but should be taken with high quality dietary protein to ensure that they are used effectively and that if mercury is present, its transport into the brain is not encouraged. Some PWCs do not tolerate glutamic acid well. In such cases, glutamine (or better yet, a product called Glutimmune, available from http://www.wellwisdom.com) can be substituted for the glutamic acid, and taken together with N-acetylcysteine and glycine. The reduced glutathione supplements are a more expensive approach than the whey or NAC-based approaches. Free reduced glutathione appears to be largely broken down in the gut into amino acids, so there is probably not an advantage to taking regular capsules of reduced glutathione per se except for the cells of the intestines themselves, but Lipoceutical Glutathione is not significantly broken down in the gut and is able to enter cells in its intact form more easily, and LipoFlow likely behaves similarly. These latter two products may actually be absorbed through the wall of the stomach. The first is that mercury can be moved into the brain from other parts of the body by cysteine or N-acetylcysteine if the dosages are too high. Dr. David Quig of Doctors Data Laboratories recommends limiting the dosage of NAC to 300 mg per day and taking it with a high protein diet if heavy metals are elevated. The second reason is that mercury can block the utilization of cysteine, and if cysteine rises too high, it can act as a neurotoxin. (This last is also the reason L-cysteine is not recommended as a supplement for building glutathione.) It’s a good idea to measure the blood plasma level of cysteine periodically when building glutathione, to make sure it is not rising too high. If elevated mercury is suspected, it is a good idea to test for mercury and detox it carefully if it is present, with the help of a doctor experienced in doing this. The best test is a collection of urine for 6 hours, preceded by a challenge with the chelator DMSA (succimer). A very small dosage of DMSA should be tried first, to make sure there is not an allergic reaction to it. A test of this type is offered as a Toxic Metals Panel byhttp://www.doctorsdata.com. If there is elevated mercury, it may also be wise to begin building glutathione using one of the approaches below, which put glutathione per se into the blood, rather than one of the oral approaches that help the liver to make glutathione. This may help to remove the mercury more “gently,” starting with the kidneys, which absorb most of the glutathione put directly into the blood. Oral supplements are probably the best way to raise the glutathione level in the liver, since the liver gets first access to oral supplements via the portal vein, and it is normally the main producer of glutathione in the body and an exporter of glutathione to the systemic blood and the bile. The liver is probably not able to take glutathione from the blood for its own use, so approaches that put glutathione per se into the blood probably are not very helpful in directly building glutathione in the liver. 2. Intramuscular injections, as pioneered by Dr. Patricia Salvato in Houston. She injects 100 mg of glutathione with 1 mg of ATP, intramuscularly, 2 times per week. One source of IM glutathione is McGuff Compounding Pharmacy in Santa Ana, CA (phone: (877) 444-1133, fax: (877)444-1155). This probably benefits most the muscle into which it is injected, but it is also reported to have systemic effects. 3. Intravenous injections, and particularly fast I.V. pushes, as advocated and used by Dr. Patricia Kane and her co-authors of The Detoxx Book as part of their overall detox protocol. The book says they do an I.V. push over 3 to 5 minutes starting with 1,500 mg of glutathione in 12 cc of sterile water for adults, and going as high as 2,500 mg in 15 cc of sterile water, one to two time per week for 3 to 6 months or more. They suggest Wellness Health and Pharmaceuticals in Birmingham, AL as the source for injectable reduced glutathione (phone: (800)227-2627 , fax: (205)879-6551). Intravenous glutathione injections seem to be becoming more prevalent. I think they were pioneered in the U.S. by Dr. David Perlmutter (after initial work in Italy by Dr. Secchi) for the treatment of Parkinson’s disease, but they are being used in other disorders as well. 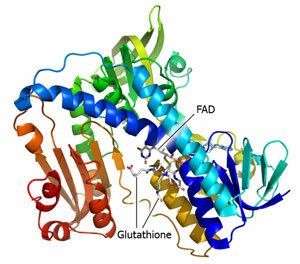 Several cell types are able to extract glutathione from the blood, break it down, import the pieces, and resynthesize it inside the cell, via the gamma glutamyl cycle. Other types of cells can import glutathione intact from the blood. This approach requires a visit to a doctor’s office, and it is relatively expensive to get these injections repeatedly. (*From Sue Bailey: I've just learned of another source for IV glutathione fast pushes:www.Infuserveamerica.com/index.htm I think there are several good things about Infuserve America; They are cheaper. A pre-loaded syringe containing 2000 mg of glutathione is $12.50. (This is the wholesale price, and they explain on the website how they can sell it so cheap. ( 2.) A pre-loaded syringe is easier to use. With Wellness, I had to pay for and use four separate items--a 30 ml syringe, a disposable needle, a vial of glutathione and a vial of normal saline. Then I had to draw the two liquids into the syringe. Infuserve makes up a new batch of GSH every week). 4. Glutathione suppositories from a compounding pharmacy. 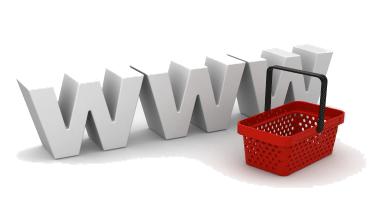 One source is Hopewell Pharmacy in New Jersey (phone: (800)792-6670 ). One person told me they use suppositories containing 250 mg of glutathione. Another told me that they are also available in 500 mg doses from http://www.wellnesshealth.com. I don’t know how much gets into the blood with this method, but I suspect that it is substantial. This is a relatively inexpensive way to put glutathione into the blood. I think a prescription is required for this form. 5. Glutathione nasal spray. I’ve heard of people formulating their own by mixing glutathione solution from compounding pharmacies with saline solution. I don’t know how much glutathione is absorbed into the blood this way, but I suspect it is less than with the suppositories. It’s important to keep the solution refrigerated and to use it soon after it is mixed, because the reduced glutathione undergoes chemical changes over time in solution. 6. Glutathione transdermal skin creams (available from http://www.kirkmanlabs.com) (no prescription required). Lotions are also sold. These may have a strong smell. A stabilized reduced glutathione transdermal gel is available from http://www.leesilsby.com. I don’t know how much of the glutathione gets into the blood with these products. 7. Glutathione sublingual troches from a compounding pharmacy. One source is Lionville Natural Pharmacy in Lionville, PA (phone: (877) 363-7474 , fax: (610)363-5707) These are made in orange and blueberry flavors, and are composed of a very firm gel. There are also hard troches in orange flavor. I don’t know how much gets into the blood. 8. Nebulizer application to the lungs, as pioneered by Dr. Buhl et al. at the NIH and as described by Dr. Julian Whitaker in his newsletter Health and Healing. Dr. Buhl used 600 mg in a few milliliters of water per application. Dr. Whitaker uses 300 mg, two times per day, applied over 5 to 10 minutes with a nebulizer, available from a medical supply company. He recommends Wellness Health and Pharmaceuticals (numbers given above) andCalifornia Pharmacy and Compounding Center as sources for the glutathione. Nebulized glutathione is being used for a variety of lung diseases now, including chronic obstructive pulmonary disease (COPD), cystic fibrosis, interstitial pulmonary fibrosis and multiple chemical sensitivity. There are reports that quite a bit gets into the blood using this approach. Valerie Hudson, who has helped to pioneer use of aerosol glutathione in cystic fibrosis, suggests L-Glutathione Plus capsules from Theranaturalsmixed with boiled water, applied with a nebulizer. No prescription is required for the capsules, and it may also be possible to get a nebulizer without a prescription. Valerie suggests one capsule containing 200 mg of reduced glutathione mixed into 3 or 4 ml of boiled water. An important feature of this source of glutathione (available without a prescription) is that it is buffered with sodium bicarbonate. Clark Bishop, M.D., wrote me that this buffering is important, because if the pH is too acid, it can lead to bronchospasm when nebulizing. People who are subject to asthmatic attacks should not use nebulized glutathione, as it can result in bronchospasm, thought to be caused by the sulfites that form when glutathione is mixed with water. It’s also very important in nebulizing to use pure, boiled or sterile water, and a clean nebulizer in order to prevent introducing infections or respirable particulates into the lungs. Because of these issues, nebulizing is best done under the supervision of a doctor or a respiratory therapist. 9. Take turmeric (the yellow spice in mustard and in food eaten in India). The curcumin in this spice has been shown to stimulate glutathione production. Some people are using more than one of these modes simultaneously. My current opinion is that it is a good idea to start at low dosages to see how well it is tolerated, and then work up as it is tolerated. I think that a combination of an oral approach to build the liver’s ability to make glutathione combined with one or more of the approaches that puts intact glutathione into the blood is probably the optimum way to build glutathione. It is a good idea to measure the glutathione level before starting to try to build glutathione to see if it is low, and then, if it is low, to measure again after trying to build it for a few months, to see how your approach is working. There are several ways to do this. Probably the cheapest is to measure the red blood cell glutathione. Two labs that offer this test are Immunosciences Lab (www.immuno-sci-lab.com) and Amscot Medical Labs. Great Smokies Diagnostic Lab offers an assessment of the glutathione detoxification pathway in its Comprehensive Detox panel. An analysis of urinary organic acids by either Great Plans Laboratory or Metamatrix will give an indirect assessment of glutathione status, particularly in the skeletal muscles (via citric acid and alpha ketoglutaric acid measurements) and the kidneys (via pyroglutamic acid aka 5-oxo-proline measurement). A measurement of glutathione function in the lymphocytes is offered by www.spectracell.com. I favor the Spectracell test if a person can afford it. Otherwise, the red blood cell test is still useful. It’s also a good idea to measure the blood plasma level of cysteine periodically when building glutathione, to make sure it is not rising too high. 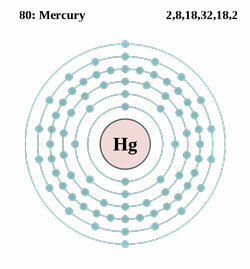 If a person is high in mercury, this can block the pathways that use cysteine, and it can build up. In the future, I hope that studies will be done of genetic variations in CFS that may be behind the tendency toward glutathione depletion. Such genetic variations have been found in autism If anyone reading this finds errors or knows of things that have been left out, please let me know at richvank@…. Thank you. Liposomal Glutathione – It now looks as though there are three liposomal glutathione products on the market, namely Essential GSH, Lipoceutical Glutathione, and LipoFlow Glutathione. The prices have also come down some. Looks as though there is some market-driven competition going on. Wellness Health has developed their own liposomal glutathione product (Essential GSH) independently of Dr. Tim Guilford, the person behind the development of Lipoceutical Glutathione. Two sizes of bottles (2 oz. and 4 oz.) are being offered for both Essential GSH and Lipoceutical Glutathione, and for each size, the prices are the same for the two products ($35 and $65). That is, they are the same if you buy Essential GSH from www.essentialgsh.com and Lipoceutical Glutathione from www.GSHNow.com. Wellness Health still has some Lipoceutical Glutathione on hand, and they are offering it at $50 for a 2 oz. bottle. The websites for these two products don’t specify how much actual glutathione is in each sized bottle. LipoFlow Glutathione is being offered in 2 oz. bottles, with two different amounts of actual glutathione, by www.lipflow.com. The one containing 1000 mg of glutathione is offered for $29, and the one with 2267 mg of glutathione is only one dollar more, at $30, which is very interesting! With this kind of pricing, I gather that the major cost of production must not be in the glutathione itself, but rather in the liposomal encapsulation process. The maker of LipoFlow Glutathione told me at the DAN! meeting that he gets his glutathione from Japan. They meet his specification, but he didn’t seem to know how they actually produce it. I think it is made by yeasts. The producers of both Essential GSH and LipoFlow Glutathione emphasize that they use “essential phospholipids” in their liposomal process. The implication is that the body can use these phospholipids as well as using the glutathione. I understand that Lipoceutical Glutathione uses “hydroxylated phospholipids.” I really don’t know how important this difference is. I also really don’t know at this point which of these products will work best for PWCs, or whether they will all work about the same, for the same total amount of glutathione. In the absence of clinical trials, I don’t think anyone can really say. I think it would be worthwhile to know how much actual glutathione is in 2 oz. of Lipoceutical Glutathione and in 2 oz. of Essential Glutathione. This is probably specified on the bottles. If anyone has these bottles, I would be interested to know what they say. Readisorb. I mentioned a new liposomal glutathione product called “Readisorb.” I checked it out on the web, and it is none other than Lipoceutical Glutathione with a different label! It appears that Dr. Tim Guilford has renamed his company “Your Energy Systems, LLC,” from its old name “Wellness Products,” now that Wellness Health Pharmacy has introduced its own liposomal glutathione product, called Essential GSH. Dr. Guilford is still selling his liposomal glutathione product at www.gshnow.com on a retail basis as Lipoceutical Glutathione, with the price competitive with the price of Essential GSH, but he has also relabled it as Readisorb Liposomal Glutathione, which he is selling to licensed healthcare practitioners and selected distributors. In addition, he has introduced a liposomal methyl B12 sublingual spray, and a liposomal melatonin sublingual spray. He is advertising the methyl B12 spray as a means to support the methylation cycle, and he is advertising the melatonin spray for its antioxidant properties. From the labels of these two new products, it appears that he is using the same process to form the liposomes for them as for Lipoceutical Glutathione, since they all contain purified water, glycerin, hydroxylated soy lecithin, citric acid and potassium sorbate. As far as I know, this is the first liposomal methyl B12 on the market. He doesn’t mention using it for CFS on his webpage, but I communicated with him some time back about that, so he is aware of my thinking. This product might be an good way for PWCs to take methyl B12. I don’t know what the cost will be. It probably depends on how much markup individual healthcare practitioners will give it.